No fake news here, California motorcyclists. 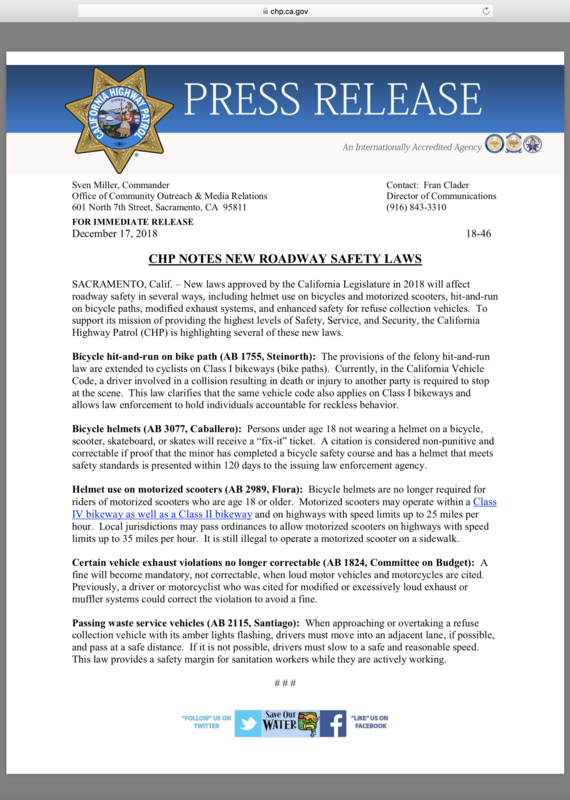 As of January 1st, you can be pulled over and fined up to $1,000 without the opportunity of a “fix-it” ticket for the rumble of your two-wheeled freedom machine. A quick phone call to the Antelope Valley Courthouse’s Traffic department to get clarification on fine schedules/fees, unfortunately, led us to another dead end on the clarification of fine prices. Citation totals will vary by county in which they are issued, however, the court system has yet to update their fees online, so without an actual citation number, there isn’t a definitive answer. However, after court fees and fine amounts and all the other small print, we were assured that the final ticket price would probably land close to the $1,000 mark. (a) No person shall modify the exhaust system of a motor vehicle in a manner which will amplify or increase the noise emitted by the motor of the vehicle so that the vehicle is not in compliance with the provisions of Section 27150 or exceeds the noise limits established for the type of vehicle in Article 2.5 (commencing with Section 27200). No person shall operate a motor vehicle with an exhaust system so modified. (b) For the purposes of exhaust systems installed on motor vehicles with a manufacturer’s gross vehicle weight rating of less than 6,000 pounds, other than motorcycles [now void], a sound level of 95 dbA or less, when tested in accordance with Society of Automotive Engineers Standard J1169 May 1998, complies with this section. Motor vehicle exhaust systems or parts thereof include, but are not limited to, nonoriginal exhaust equipment2. Examples of 90-100 dbA noises include a Gas Lawn Mower at 3ft, and most aftermarket 2-1 exhausts that are commonly found on Harley-Davidson® motorcycles, that is, before you blip the throttle or take off from a green light. However, most of these loud 2-1 exhausts are not CARB compliant, which means that CA Residents have sourced their exhausts from dealers outside of California in order to purchase the product, or have purchased a motorcycle from out of state with the exhaust installed prior to purchase. One Facebook post made by the Antelope Valley California Highway Patrol has been shared over 2,800 times in the first week alone, and has spurred over 2,300 comments to the original post. Social media channels have run amuck this week with outrage, confusion, and concern regarding the new bill. While some Facebook users have told their stories of being hassled for their exhaust this week and warned of $1,000 fines for excessive noise, others have expressed concern about the new law enabling Officers to profile motorcyclists. 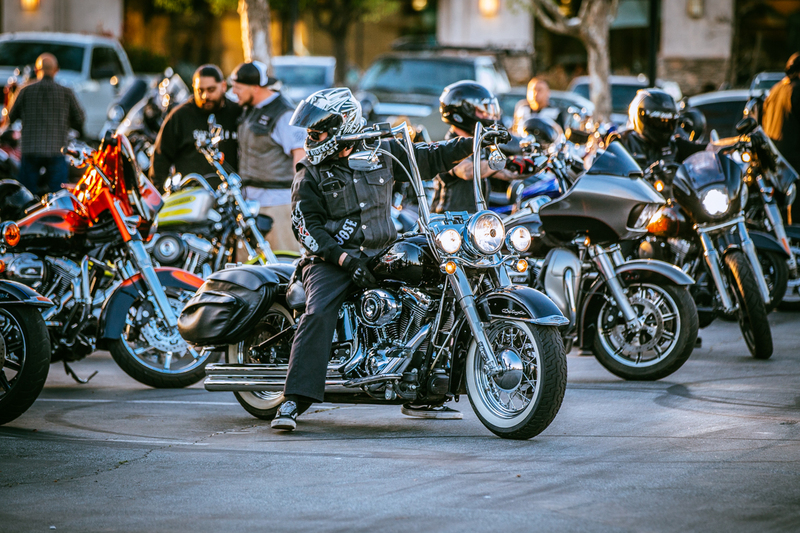 If you feel that noise violations are just another excuse to stop motorcyclists, Russ Brown Motorcycle Attorneys suggests getting involved in a positive way – to help stop profiling visit The Motorcycle Profiling Project for more information.